I decided to stick around my homeland for the turning of the New Year this year. It would be the first time I had done this since before I moved to Colorado in the summer of 2004. The extra time spent with my family made it more than worth while. 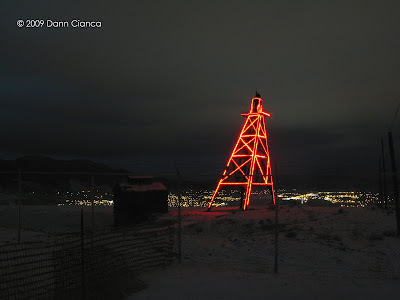 On New Year's Eve, I opted to head Uptown and spend the turning of the year above the city, clicking away at the headframes and enjoying the free amateur pyrotechnic displays that were likely to occur. 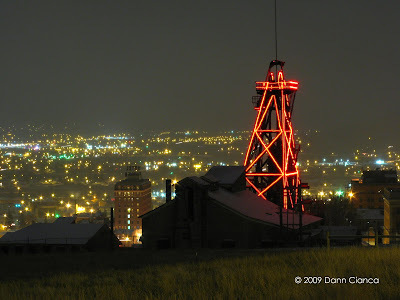 The Steward Headframe with the Hotel Finlen and downtown Butte in the distance. 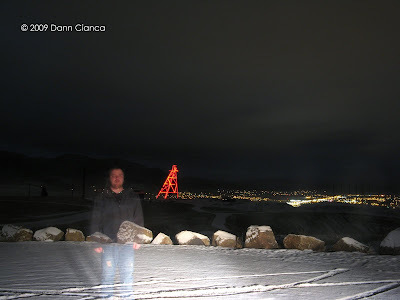 Ghostly self-portrait with the Bell/Diamond Headframe and the city below. 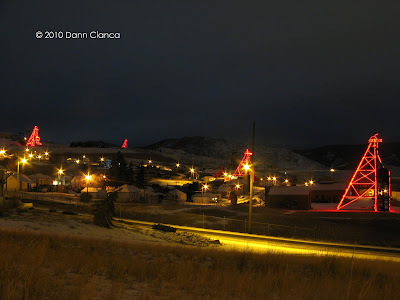 Bell/Diamond Headframe just before midnight. 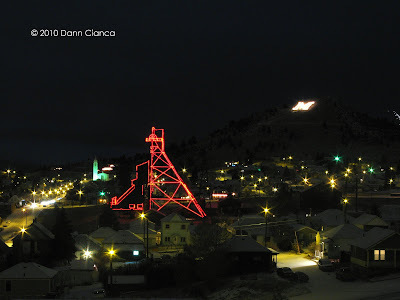 IC Church, Anselmo Headframe, and Big Butte. From left to right: Mountain Con, Bell/Diamond, Steward, and Original Headframes. 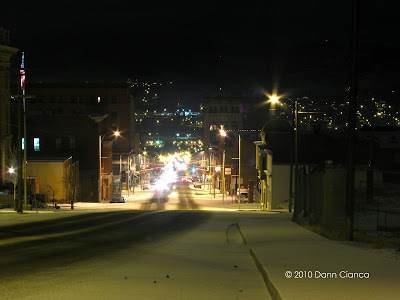 Looking south down Main Street through Uptown Butte. 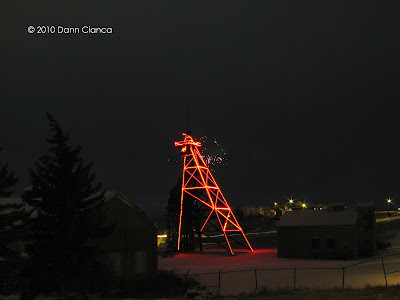 And finally, the Original Headframe and a bit of pyrotechnics. I missed a lot of the pyrotechnics, given that they were randomly shot off throughout Uptown, but the night was still great. 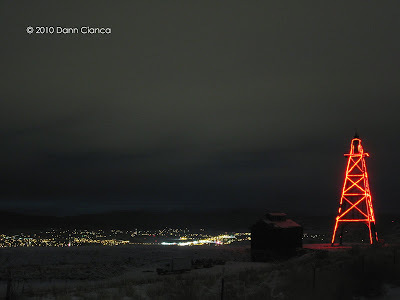 Though I'm disappointed with a few shots (still using my backup tripod), I am very pleased with others. 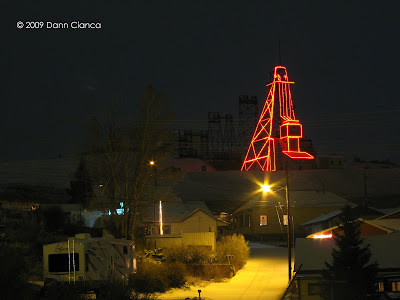 Though I've been gone some five years, Butte will always be home to me and I'm happy to have spent the New Year there.